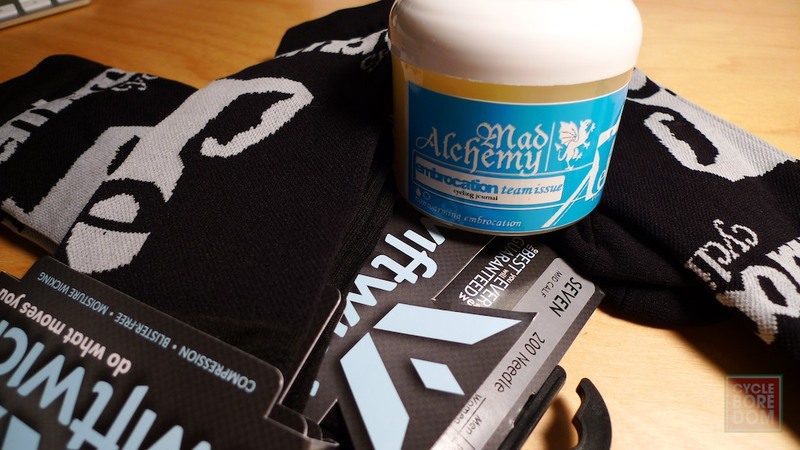 Yesterday I slathered up the legs with Mad Alchemy’s Embrocation Team Edition embro and covered the feet with their killer Swiftwick black tallboy socks. These two just set the tone for the ride. 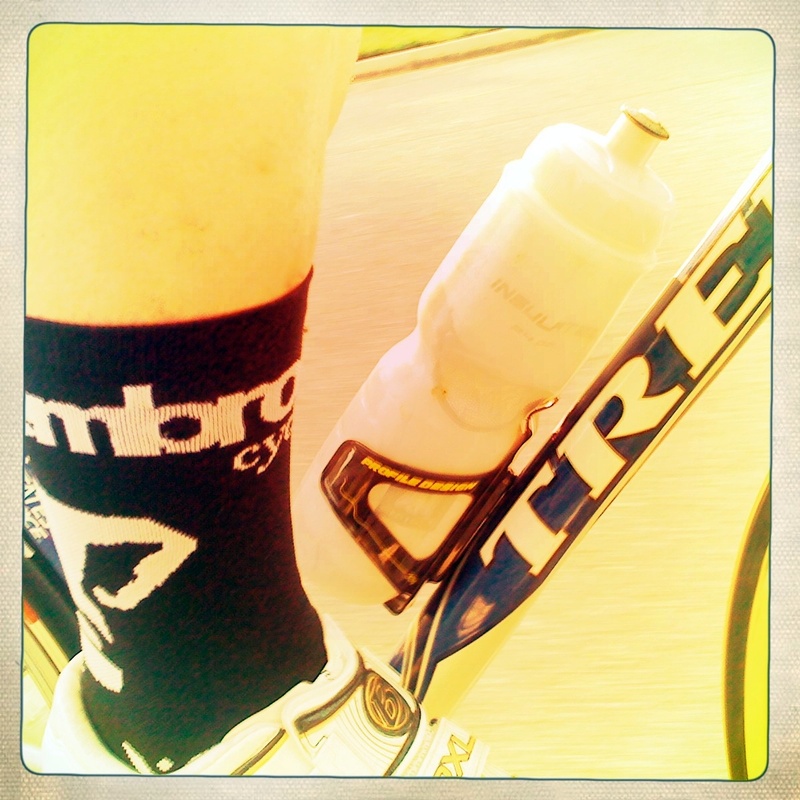 Obviously I don’t need to use embrocation before a ride, and in all honesty any pair of socks would cover my feet. That’s not the point. Some people are fine with their food the way it is. Some like less seasoning, some like more. To me, applying embrocation, and pulling on a pair of obnoxiously tall socks branded by a company/magazine/blog that I truly enjoy is like enhancing your meal with the finest spices from across the globe. You take time to make sure the application is just right; not missing any spots. Same attention to detail goes into the socks. You have to make sure the logos are straight by carefully aligning the rear seam with the back of your leg. To some this would be infinitely maddening. To me it makes the entire process of preparing for the ride memorable. It’s a ritual of preparation. But why embrocation? Embro is traditionally used to protect the legs during the colder parts of the season. It comes in various forms, but typically has a warming agent. Ingredients like oils and beeswax provide a barrier against cold rain and winds. It’s pretty remarkable how it works allowing you to ride without knee warmers or tights well into the lower digits. A side benefit to embro is derived from the application. If done correctly, you can prep your muscles for the impending activity by massaging them while spreading the embrocation around. This gets the blood flowing developing a sensation of being “warmed up” before you take a pedal stroke. It also lessens the chances of strains if you’re they type who goes too hard too fast. The final benefits are more fringe and aesthetic in nature. Embrocation is generally filled with all types of essential oils. Depending on their characteristics, the oils have an affect on the skin but the scent is what I’m leaning towards. As you’re applying it the smell overtakes the room, awakening the senses and signaling your imminent departure. Lastly there’s the “embro shine”. Your legs look amazing when they’re gleaming in the sunlight from a fresh coat of embro. This is what makes embrocation one of the hallmarks of the essence of “pro”. If you’re still in the dark, think Frank Vandenbroucke’s legs. 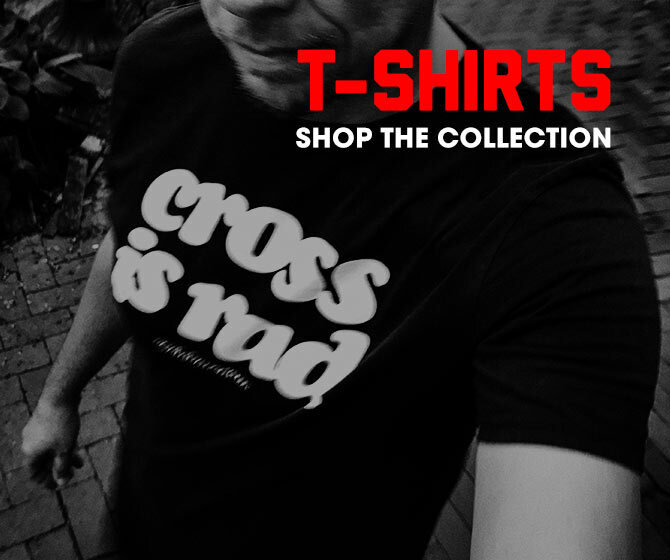 The Team Issue embro is a summertime non-warming embrocation. 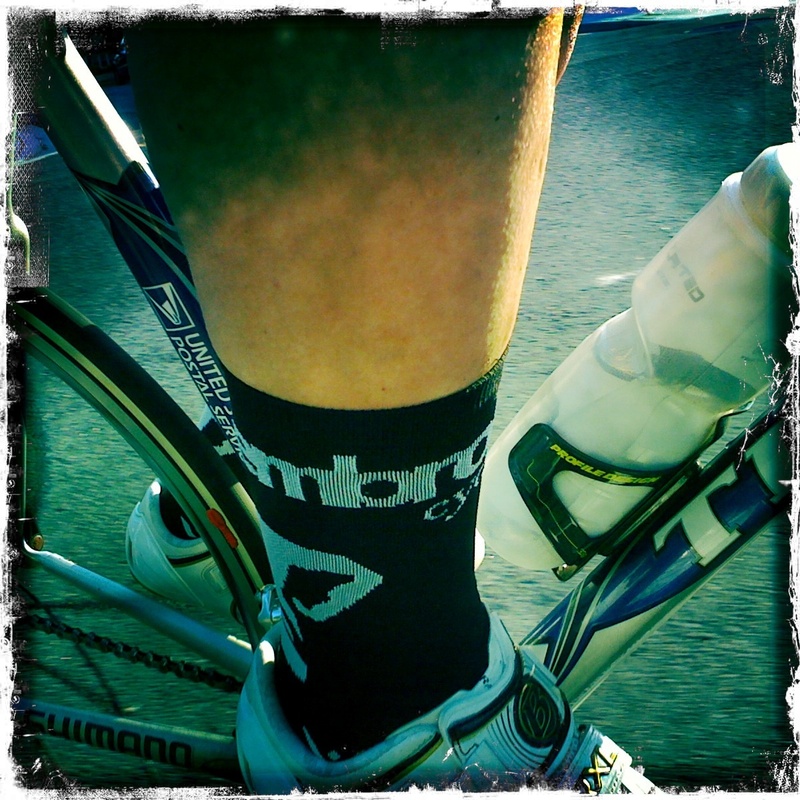 Just like regular embro application, it prepares the muscles for the ride. But instead of the usual warming agents, mint is added alongside grapeseed and other essential oils. According to their website it “allows skin to breath yet protects and conditions.” That it did. It smells fan-freaking-tastic and my skin was on alert for the entire ride. My legs felt energized. Unfortunately for me, feeling energized and riding energized were two diametrically opposed things. I’ve been fighting a cold so my legs were dead, but the embro definitely got me in the mood to move. Best of all, when gazing down to look at my pedal stroke, all I could see was a beautiful “pro” sheen. Ahh the small things during rides. 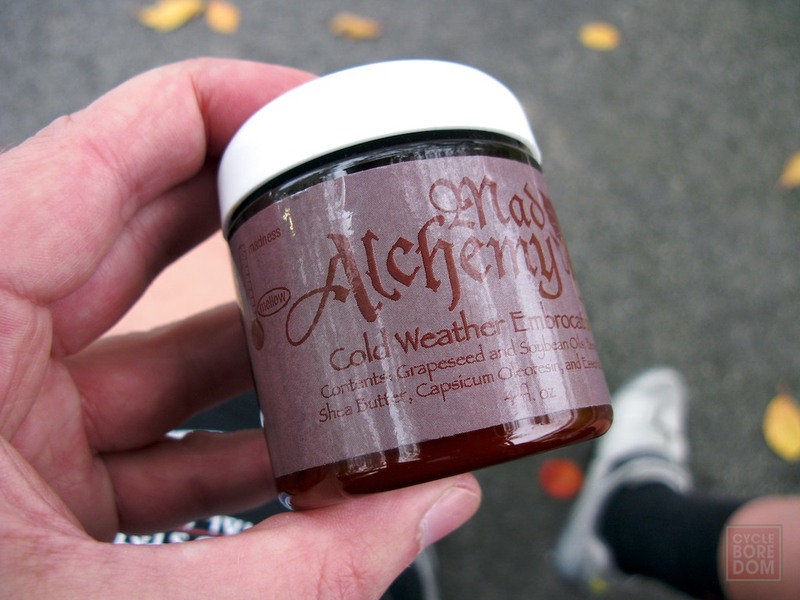 Pretty soon this warm weather will break and I’ll switch over to Mad Alchemy’s cold weather embros for their sweet burn and sense of invincibility against the elements. I’ve known about Swiftwick for a while, but amazingly enough have never purchased them for myself. Let’s just say they’re worth the cost. They compress nicely, and there are no seams to deal with. Pretty much perfection for your feet. Embrocation’s Swiftwick socks are dope since they’re adorned with a GIANT version of their logo which includes a GIANT Moka stovetop espresso maker. Doesn’t get much better than that. So what’s up with these shots of my legs? You’re looking at the idiocy of my attempts to capture said socks and embro with the iPhone app Hipstamatic while riding. Some days I’m good, this day obviously not. Regardless, it’s fun and I certainly don’t see Graham Watson hanging around to capture my greatness. Grocery Getter Vélo Part Deux: Franken-porteur!